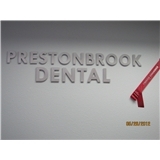 Prestonbrook Dental (Frisco) - Book Appointment Online! At Prestonbrook Dental, we believe that every patient is special, that no two people are alike in desires, expectations, or situations. We take great pride in learning about you as a completely unique individual, and how we can best offer you a quality experience during your dentist appointment. When looking for a Dentist in Frisco I ran across Dr. Chaudhry and scheduled an appointment. My experience was absolutely fantastic. The entire staff was friendly and welcoming and made me feel like I'd been visiting for years. Dr. Chaudhry has a great chairside manner and was very pro-active with future plans. I would absolutely recommend.